Heading inland we entered the state of Minas Gerais. In my initial planning for Brazil this state interested me the most as it has a rich colonial history as the mining center producing the gold and diamonds that funded the Portuguese empire. 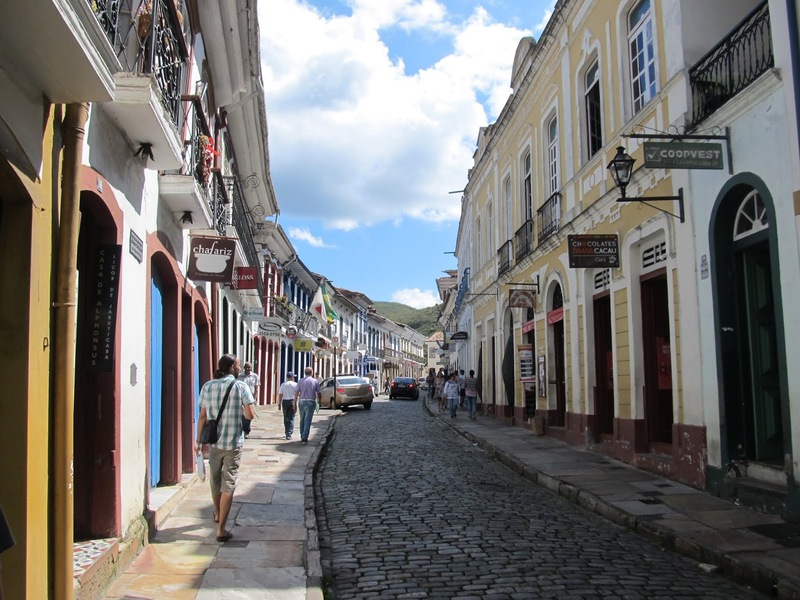 Due to their inconvenient and remote mountain locations, the beautiful colonial centers of wealth and prosperity of the 1700’s were later surpassed in size and glory by later new comers (like Rio) and in some cases remain preserved in their own little historic time bubble. By the mid 1800’s most of the mines were done and life moved on. In the end we were not able to see all that I had my eye on, but what we saw did not disappoint. 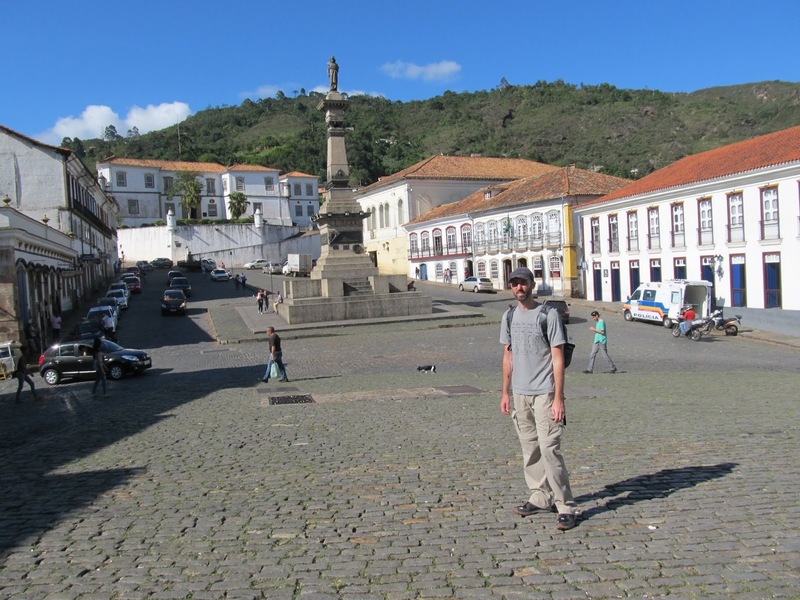 Our first stop was in Diamantina, the most remote and northern of the mining towns. 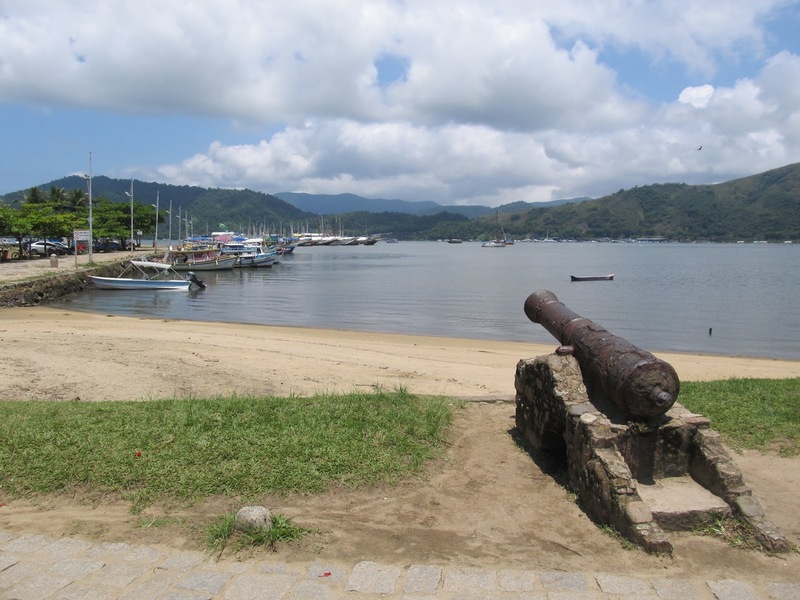 It was the start (or end) of the old Estrada Real or royal road that was used to bring the gold down to the coast (originally at Paraty and later Rio) for shipment back to Europe. As its name suggests it also had many diamonds. 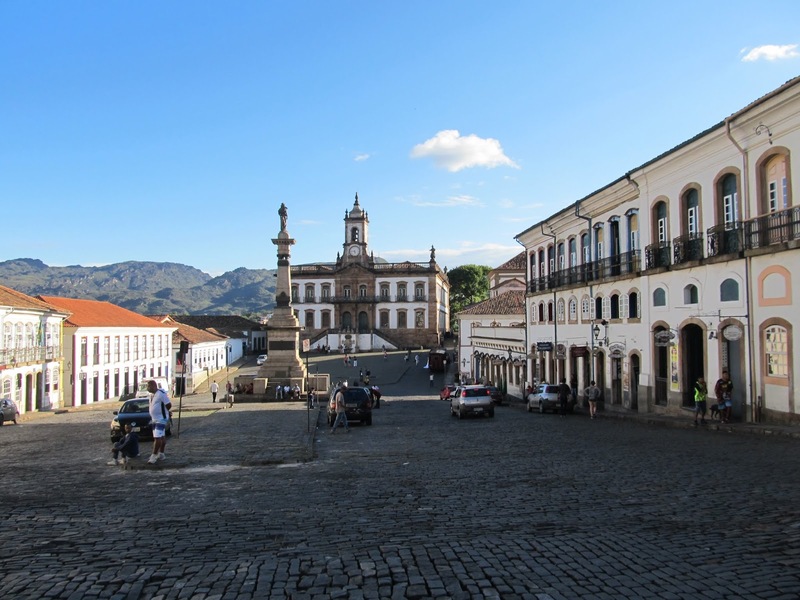 It’s a small town with a great little historic core with colonial plazas, mansions and more ornate churches than necessary. 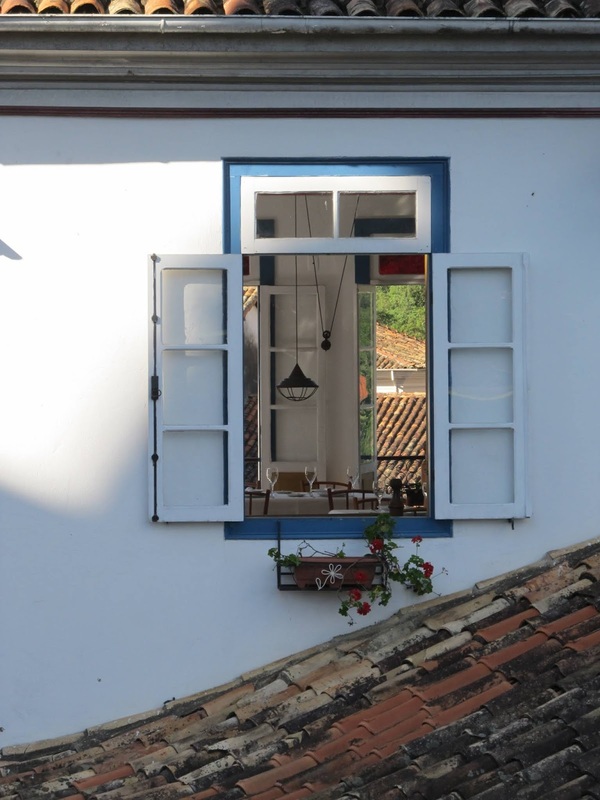 For the first time in Brazil it felt like we had found a place that was consciously making an effort to be tourist friendly and enjoyable to visit. It was restored and clean and actually had good signage. 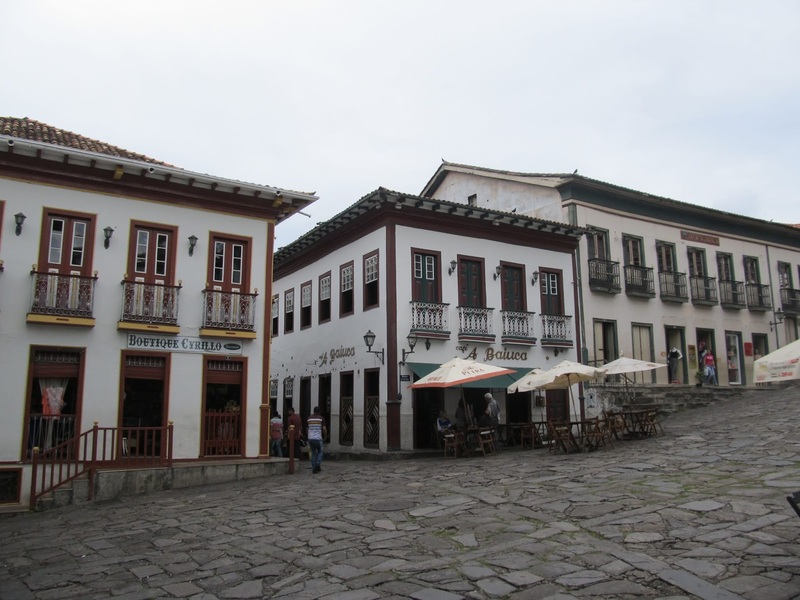 Honestly it reminded us of a typical small unesco-listed town in Europe. We only had half a day to visit but that was enough time to wander from church to church on the hilly cobblestone streets. The next day we visited spots around town but unfortunately both Pampulha, the Niemeyer-created neighbourhood (you may recall he was the guy who later designed Brasilia), and the central Plaza da Liberdade downtown were both undergoing restoration work and large sections (the most interesting bits) were closed off to visitors. 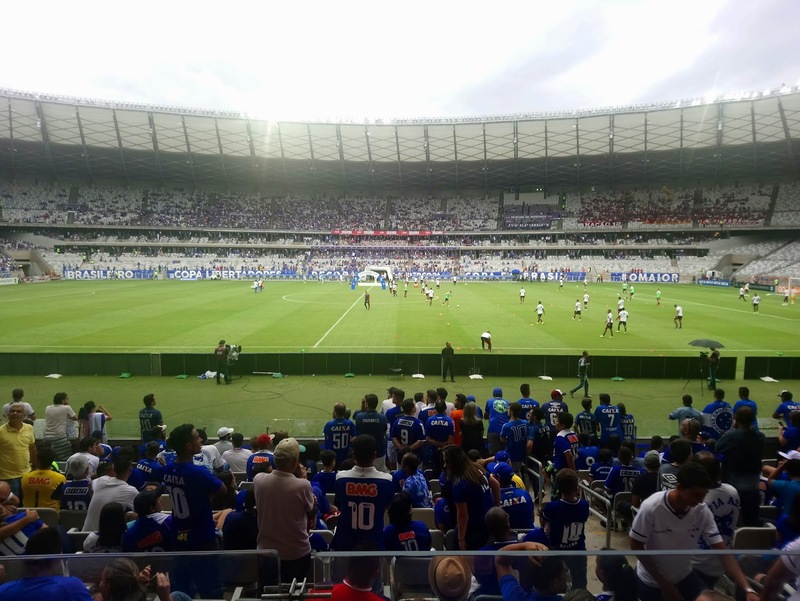 We finished the day at the stadium cheering on the local football team, Cruzeiro. 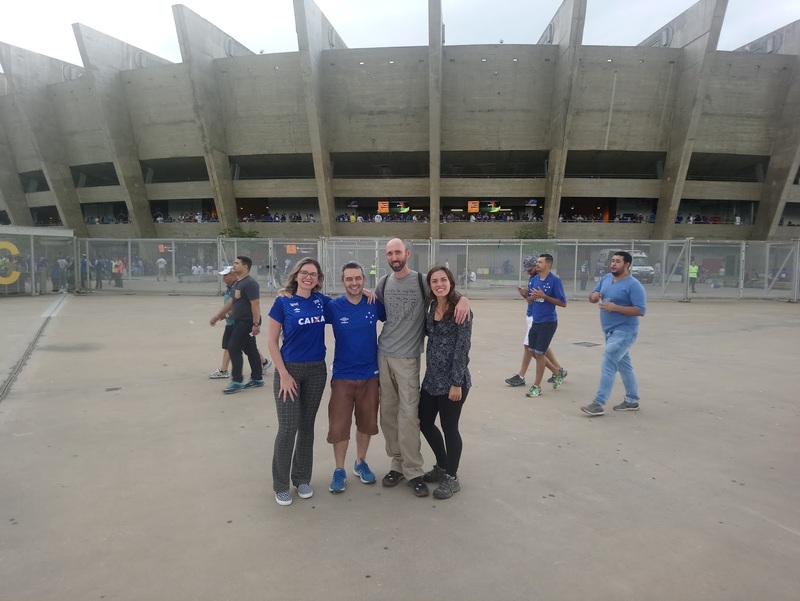 Brazilian football fans are crazy as everyone knows, but it was relatively subdued as we quickly fell behind and lost 0-2. We had a good time though and were pretty much front row in the middle as well. 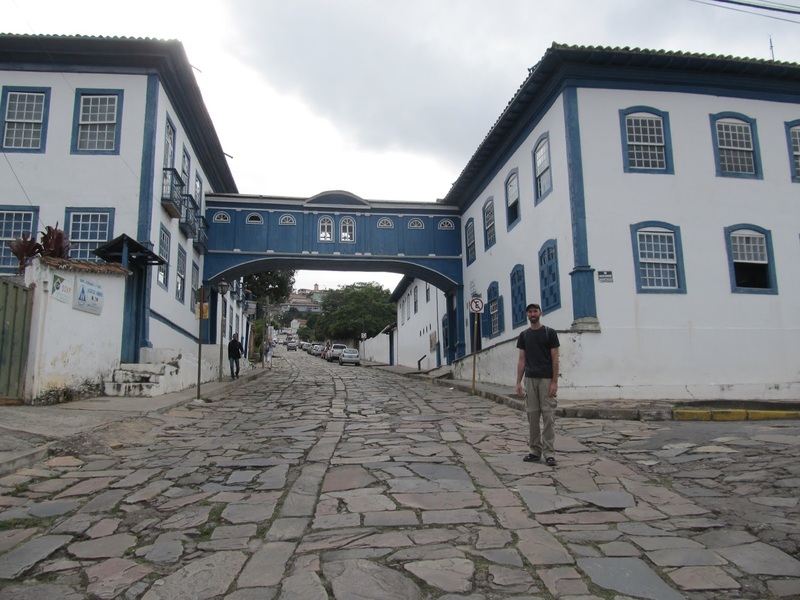 From Belo Horizonte, Sasha and I also made our own little field trip to Congonhas about 1.5 hours away. 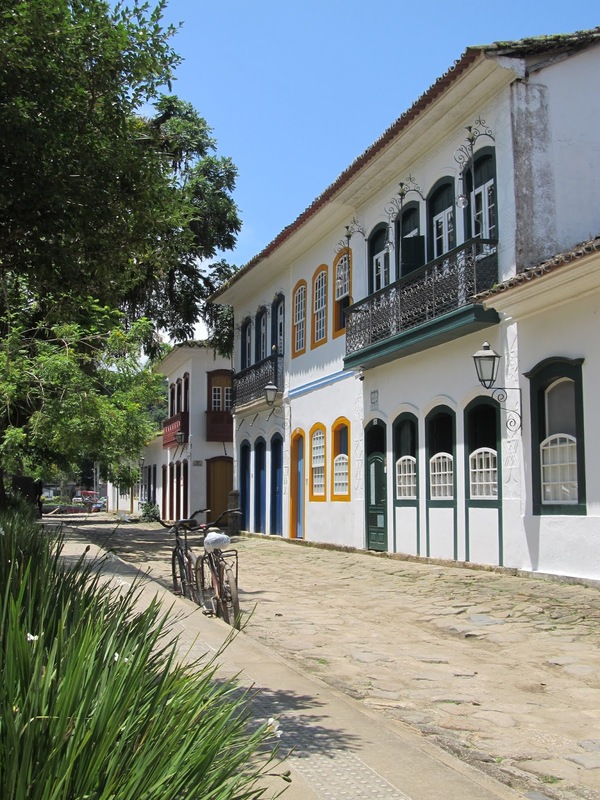 As far the old mining towns go, Congonhas is not the one you’d take home to meet your mom. 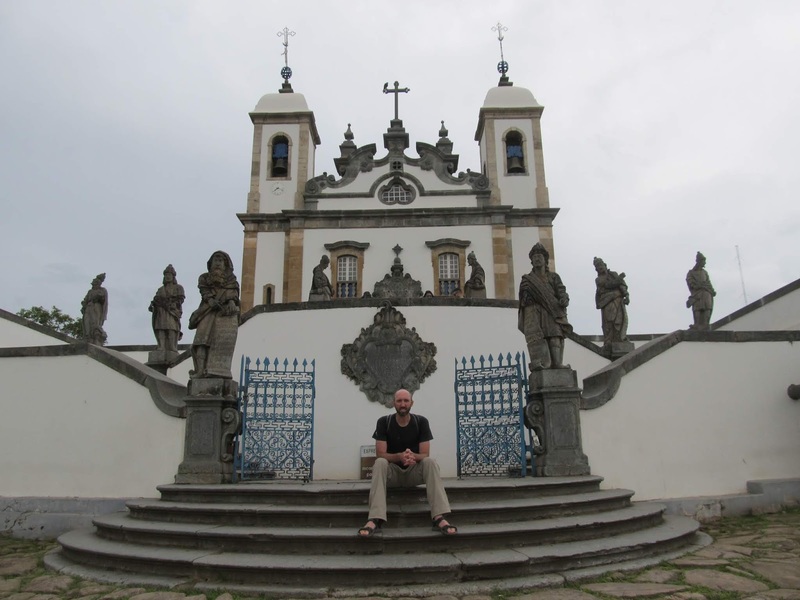 Most of it is modern and dull, but surrounds a beautiful church, the Sanctuary of Bom Jesus de Matosinhos, famous for its sculptures of 12 prophets outside. Now this is art. I’m not normally a huge enthusiast of religious art but these life-like characters have impressive detail and a beautiful arrangement around the front staircase to the church. 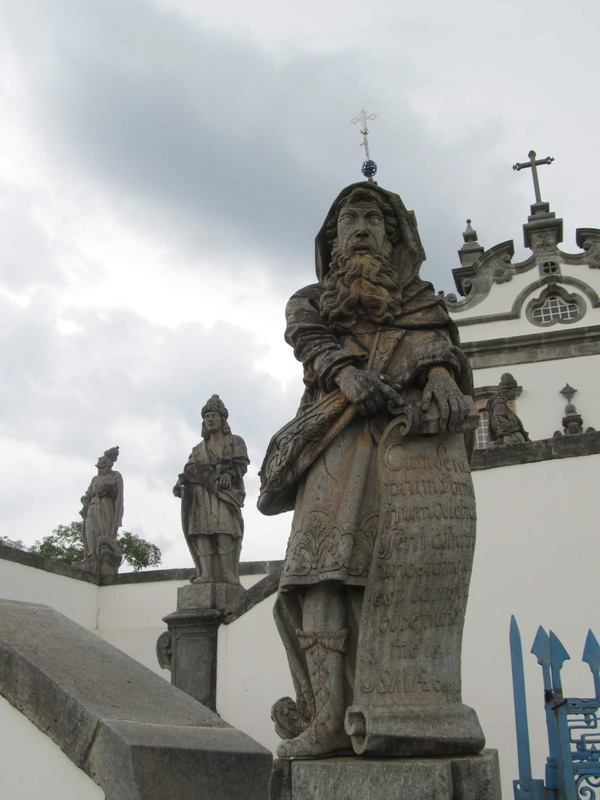 Even more impressive is that they are supposed to have been carved by Aleijandinho, one of Brazil’s most famous artists, who at the time was a 70 year old leper working with his tools strapped to the stumps of his arms as he had lost both hands and feet. The approach to the church is an uphill slope with 6 small chapels alongside and the staircase with prophets towering above. It is a great effect. 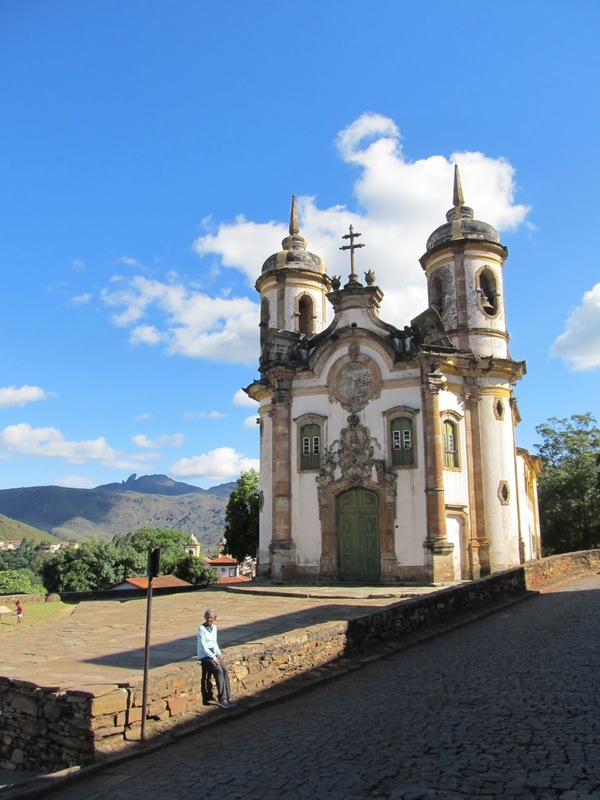 Our last stop in Minas Gerais was at Ouro Preto. Though there are so many other places nearby to visit as well, this is the one “can’t miss” spot. It was the former state capital and the hub of all the mining activity. 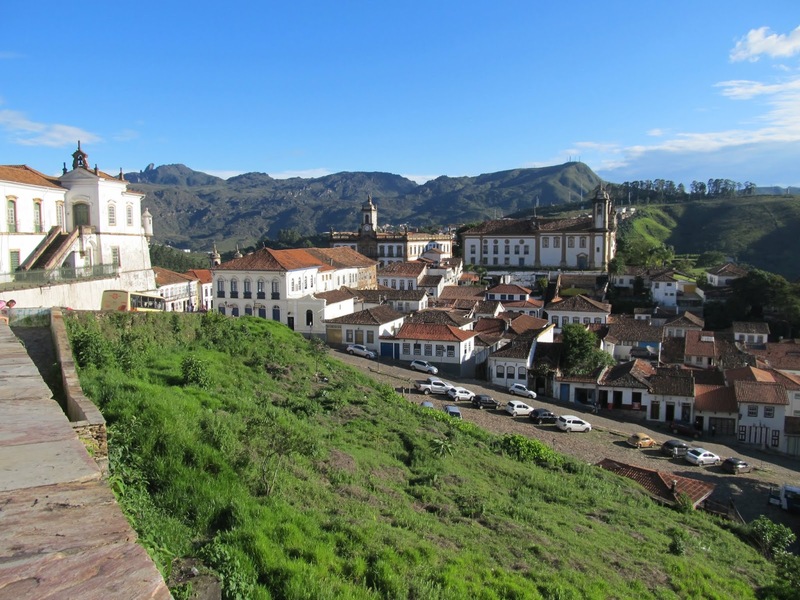 At one point in the 1700’s Ouro Preto was the largest city in Brazil and one of the largest in the western hemisphere. 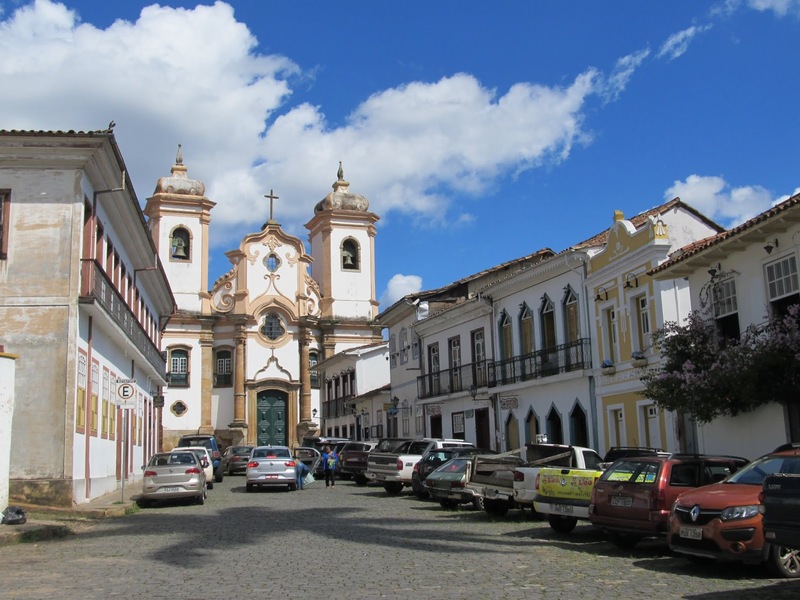 During it’s heyday some of the wealth was used to build ornate churches (this was Aleijandinho’s hometown and he worked on a few) and colonial mansions which remain today. The mountain setting is beautiful, giving some great views and vantage points for photos, but it also means some very steep cobblestone streets to walk up. There may have been some groaning involved… These people must be in great shape, or nearly dead. This was even more of a misplaced European town, pleasant because despite being a major tourist attraction was not as busy as I expected. 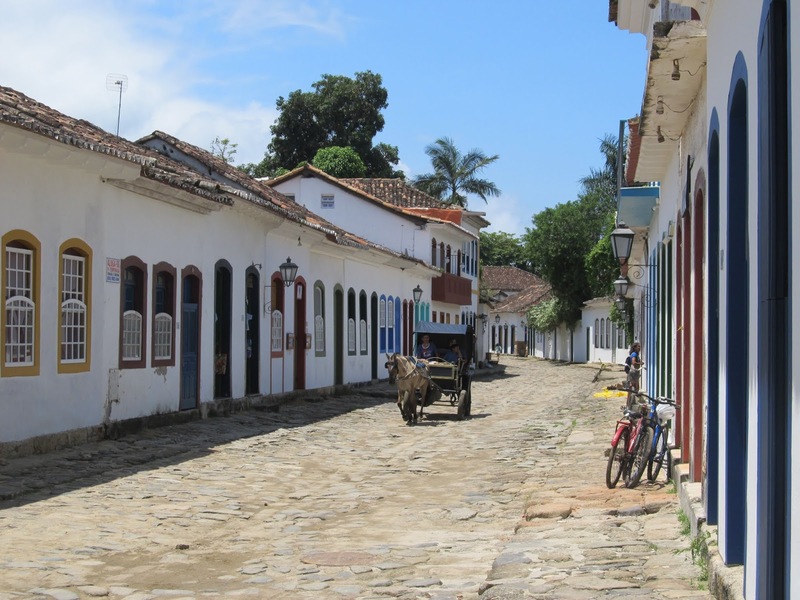 It was how I had imagined more of the historical colonial areas would look such as those in Olinda and Salvador. The unfortunate or dark side to the beauty of these mining towns is that it was all built on the backs of slaves. 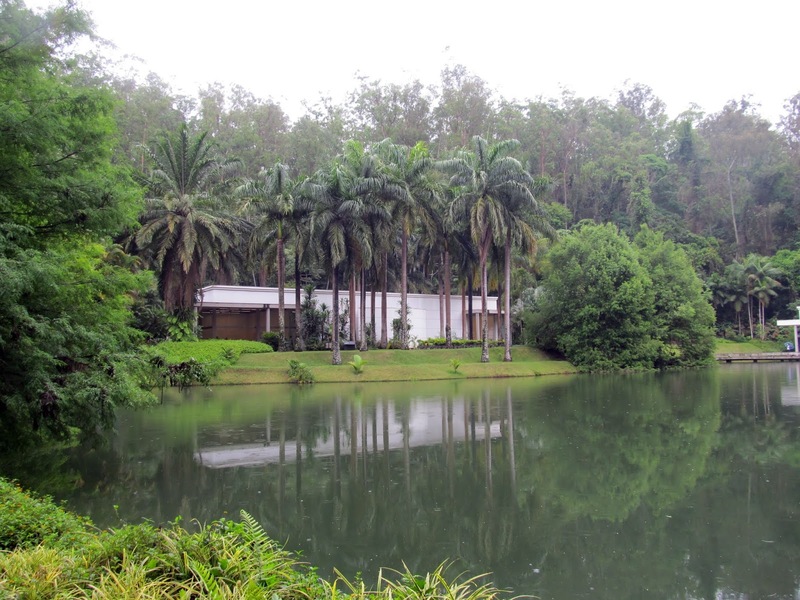 Like the sugarcane industry in the northeast of Brazil before it, mining was a major driver of what was to become the biggest African slave destination in history with over 4 million slaves brought to Brazil by the end. Nearly half of all African slaves crossing the Atlantic ended up in Brazil, most of those originating from what is now Angola. 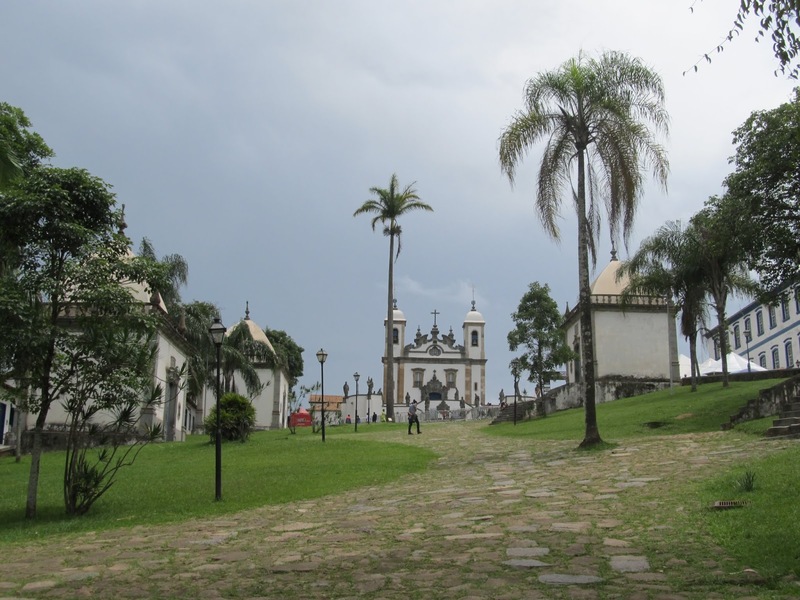 Brazil was also the last country in the western hemisphere to abolish slavery. Today, Brazil has the second largest population of African-descended people in the world, including all African nations! As in the USA, the economic, social and political effects and issues of this past are very prominent and complicated to this day. It would have been nice to spend more time but we had a beautiful day and spent it making a big lap of town. On Mondays, when we visited, most of the museums and churches are closed so we didn’t get to see all the detail on offer. 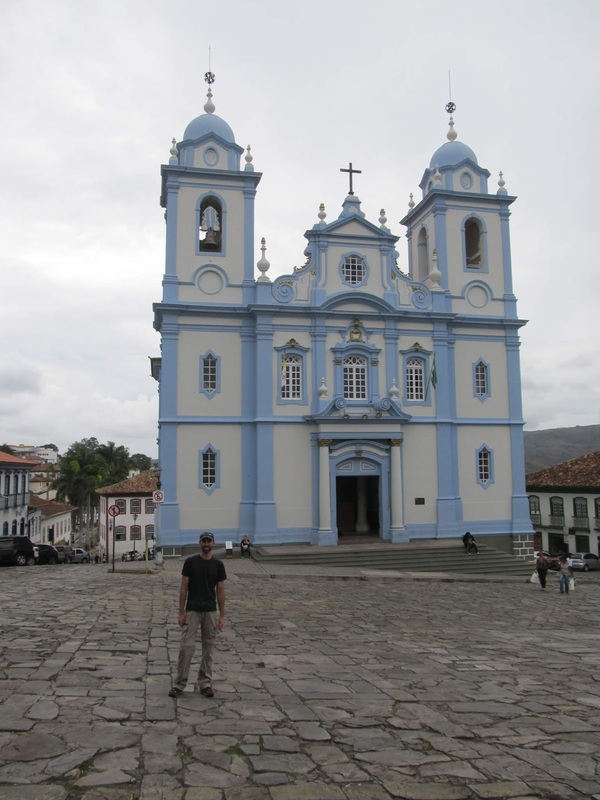 If and when I return to Brazil I’d definitely like to return and explore more of Minas Gerais. 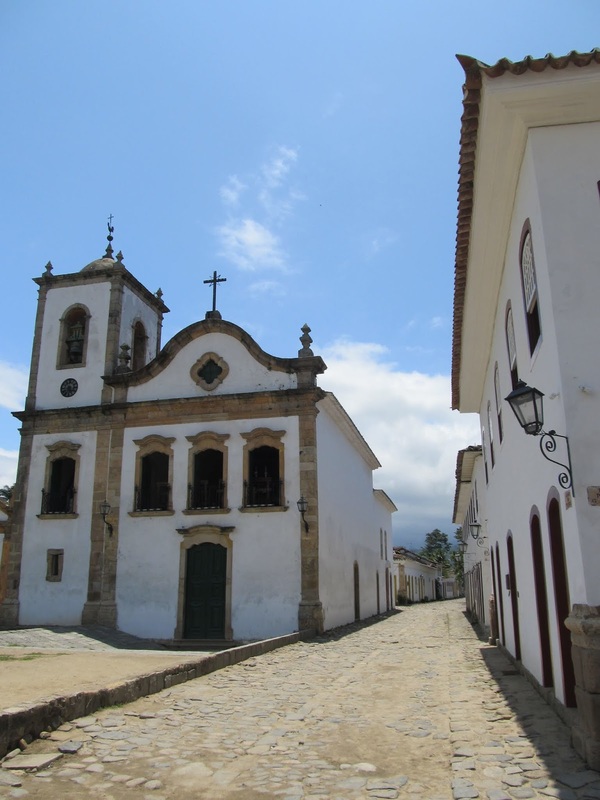 We left Ouro Preto on an overnight bus and made our way to Paraty. 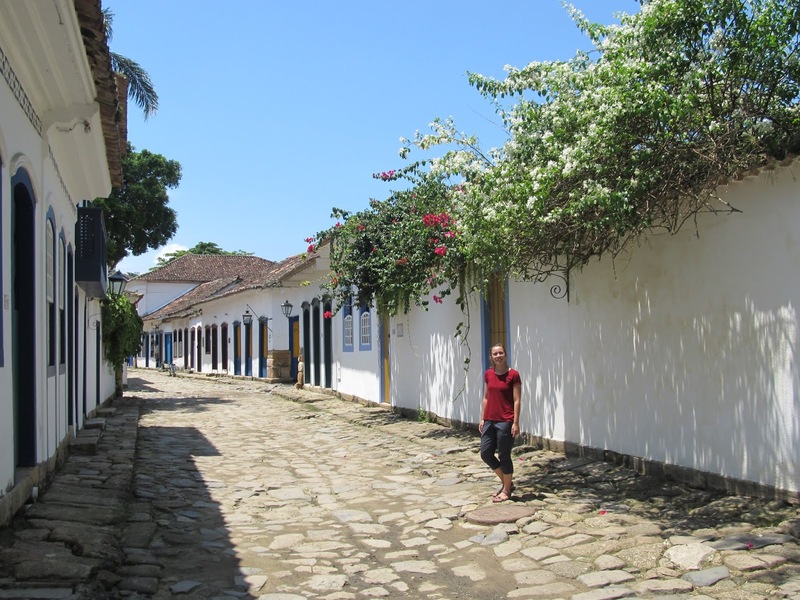 No longer in Minas Gerais, Paraty was the terminus of the Estrada Real for the gold on its long way back to Portugal. 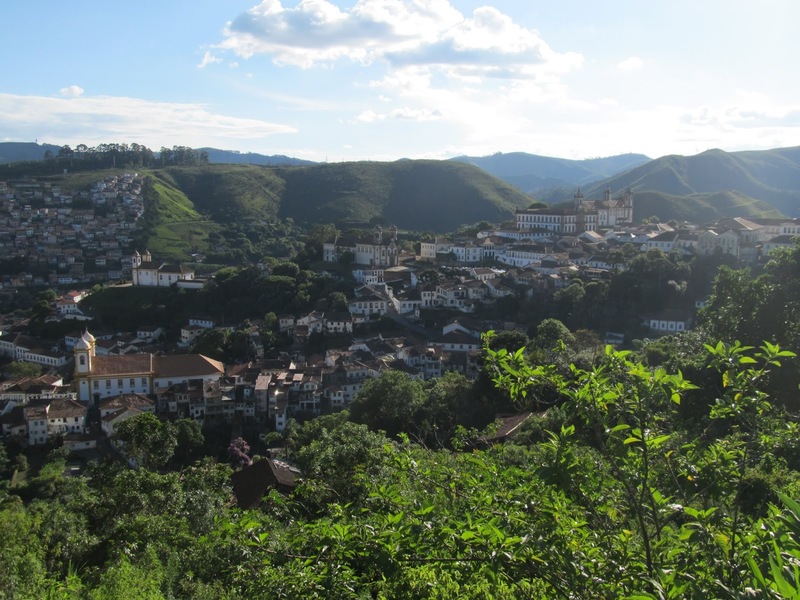 Steep, heavily vegetated mountains prevented easy access inland so it was a long time before a faster overland route directly to Rio was established, effectively ending Paraty’s importance. 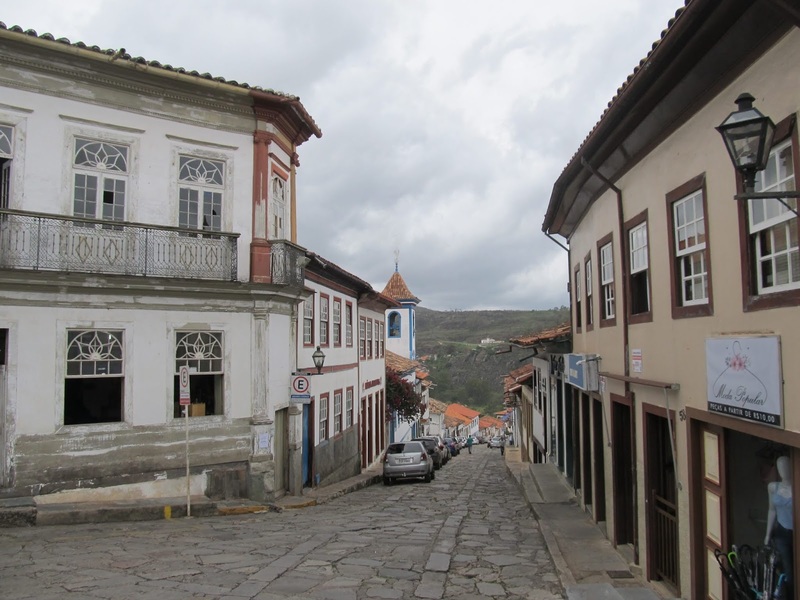 It was never a huge place but there is still a small neighbourhood of well-preserved colonial buildings (mostly single story, unlike Ouro Preto). 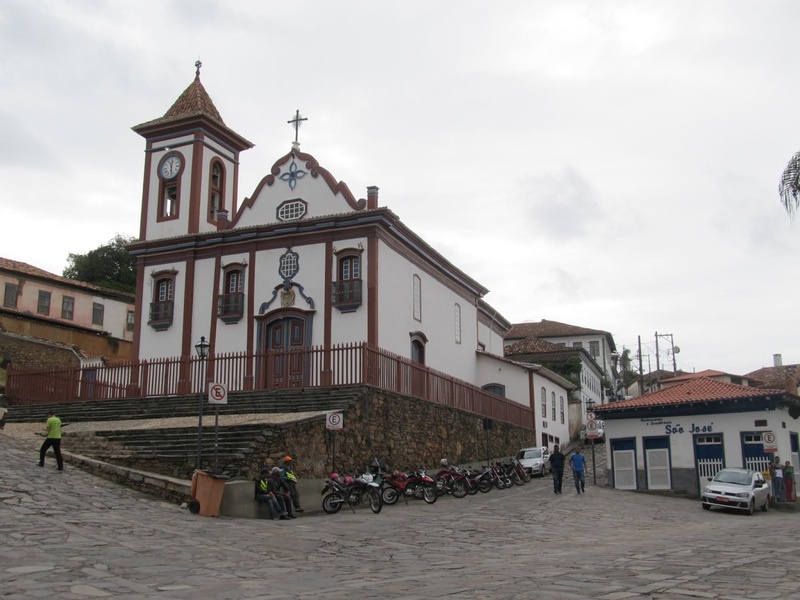 As a colonial site it can’t compare to the beauty and grandeur of Ouro Preto or even Diamantina but it is arguably more well known and visited because of its location on the coast between Sao Paulo and Rio. 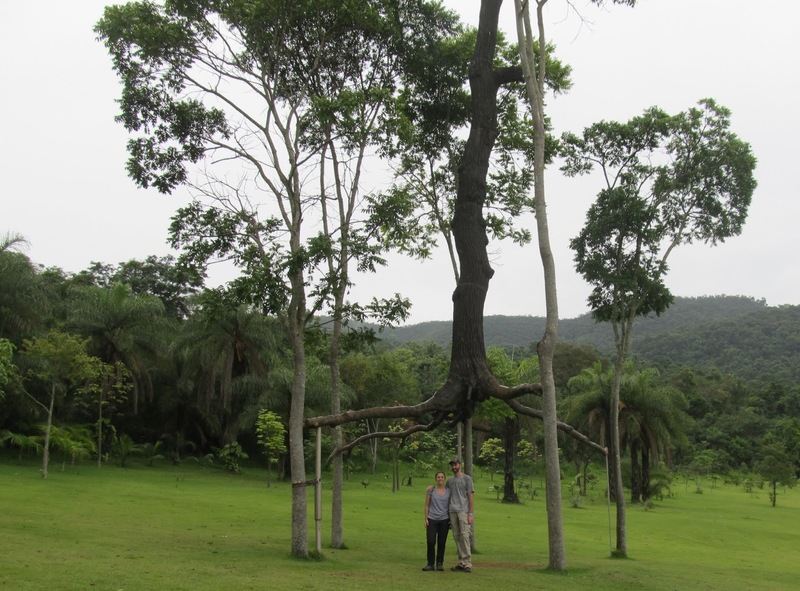 We still found it to be quiet, but for the first time in Brazil we had other foreign tourists on the same bus as us. 5 weeks in and now we’ve hit the gringo trail here. We spent a pleasant day wandering the streets and taking it easy, but didn’t have time to explore the coast further.